HOA Earthquake Insurance, To Buy or Not to Buy? I am going to give my annual plug for earthquake insurance for HOAs. I have written a whole article about it which appears in the Articles section on my website at http://www.californiacondoguru.com. Here is an excerpt explaining something few boards think about when deciding how to approach the question. Too many people dismiss it because of the cost. That in my view, without delving deeper into the possibilities of risk balancing, and options, and how to get owners enrolled in a more protective system, could be a breach of duty on the part of a Board. Boards, I know you have a lot on your plate, but I am one knowledgeable homeowner who understands that having some kind of foundation to rebuild from in the event of an earthquake that destroys ANY building in the condo development that I live in is critical to each and every person’s investment in the property. I am one savvy owner that understands those who have equity in the properties will stay and rebuild if they can, but those who have little equity – like investors and anyone mortgaged to the hilt, will simply walk away, leaving the entire burden of rebuilding to those who want to stay. What is the HOA’s role versus Homeowner’s role or the Builder’s role? *Replace Front yard mulch Backyard Mulch & Shrubs Grading or drainage issues? What is included in my Homeowner Association Dues? reference the HOA budget in the Offering Plan. What is NOT included in my Homeowner Association Dues? Why does my new lawn have weeds? growing season until your lawn is established. We thank you for your patience during this process. How many lawn fertilizations are included in the grounds maintenance contract? *Five lawn fertilizations per year and includes grub control. Does the grounds maintenance contractor take care of bare spots? Is plant or tree fertilization included in the HOA contract? *No; plant, shrub and tree fertilizations are not included in the HOA contract. *Yes. Homeowners can call the HOA contractor directly to receive a quote for additional services. What if our trees, shrubs or plants die? includes pruning shrubs once per year, it does not include replacement at all. Will the HOA close my lawn sprinklers for me in the Fall and open them in the Spring? opening & closing of the sprinklers in the Common Areas only if applicable. When are the monthly HOA payments due? like to pay in advance so they don’t have to worry about their dues while they are gone. Can I pay my dues electronically and transfer the money directly into the HOA account? If I run out of dues coupons can I send my check without a coupon? *Yes, just write the month(s) you are paying for on the memo line. *You can also print more coupons directly from the HOA website if applicable. Do I have to submit an Architectural Review Form for all outside projects? Association Offering Plan for guidance and if in doubt, we recommend you submit a request. How can I sign up for one of the Volunteer Committees? A: According to Chapter 720 of the Florida Statutes, the Florida Homeowners’ Association Act, the “governing documents” of the community include the declaration of covenants, the articles of incorporation, the bylaws, and the rules and regulations. The declaration is much like your “constitution” and sets forth the basic covenants and restrictions for the community. For example, covenants include the obligations to pay assessments and be a member of the association arising from the declaration. The requirement that your lot can only be used as a single family home, or can only be rented for certain minimum periods arise from the declaration are examples of restrictions. The articles of incorporation, called the “corporate charter” in many states, establishes the association’s existence and basic structure and governance. It may address important powers, such as the association’s authority to borrow money. The bylaws (which I often refer to as “the corporate housekeeping rules”) govern the operation and administration of the association. Bylaws will typically address the composition of the board, how meetings are called, and numerous other corporate procedures. The rules and regulations usually supplement the restrictions in the declaration, and typically address matters of everyday policy, such as parking or use of the community’s recreational facilities. In addition to “do and don’t” rules, most HOA’s also have what I refer to as “administrative rules”. For example, the Homeowners’ Association Act grants the board authority to adopt certain rules governing the frequency, duration, and other manner of member statements during board meetings. An official records inspection rule is another example of an “administrative rule”. The various governing documents are each subject to their own amendatory procedure. Typically, declaration amendments require the highest level of owner vote, whereas rules are most often amended and created by the board of directors. Rules must be reasonable and cannot conflict with the rights provided for in the other governing documents. Amendments to all governing documents must be recorded in the public records to be valid. The bylaws usually establish the board’s rulemaking authority, and may include limitations on this authority, such as a board only having the ability to create rules governing use and operation of the common areas. The law does not contain any requirement for owners to approve rules, which are most often adopted by the board, assuming adequate rulemaking authority have been granted to the board. However, owners have the ability to attend board meetings where they can voice their opinions and raise any concerns regarding any items the board plans to vote on, including rules and regulations. Section 720.304 of the Florida Homeowners’ Association Act provides that homeowners may erect freestanding flagpoles of no more than twenty feet in height on any portion of their property, regardless of provisions in the governing documents to the contrary. However, the flagpole cannot be built on an easement, and must not obstruct sightlines at intersections. The law also lists certain flags that may be displayed from the flagpole, again regardless of contrary provisions of the governing documents, including a United States flag, an official flag of the State of Florida, or of the United States Army, Navy, Air Force, Marines, Coast Guard, or POW-MIA. The law does state, however that flagpoles and corresponding flags are subject to all building codes, setback requirements, and all other applicable governmental restrictions. If your community’s covenants pre-date the enactment of these laws, there is an argument that they cannot be applied retroactively. However, that is far from settled on this topic. My dad was a cattle rancher, my mom a farmer from Iowa. They had little experience with suburbia growing up. I, however was born in OakTown. Kaiser Hospital, Grand Avenue. Thankfully, they left that environment before my lack of pigment got me more than a couple of stiff beatings. That was back when “down and out” was good. No need for the .44 going off in your ear. Having spent most of my life thereafter in country suburban settings, where “dogs run free,” I have never been exposed to real estate developments as a remote possibility for a residence. I am a minimalist. My lovely and attractive wife is not. So now we live in a 5 bedroom 3 bath monster of a home in a brand new subdivision. I have a 60’ x 60’ lawn in the back. Like I need this at the age of 65. At this age, I am retired from the 9-5. I keep some rental property in California, but we have moved to Washington State to be near my wife’s aged parents, and her siblings. I still write my blogs and keep my tenants happy, but it only takes a few hours a day. There are countless things to do in this playland of lakes, farms, parks, and trees. Especially with my 4 year old Lab buddy, Lexie. The neighborhood homeowners’ association was recently handed down to the community, from the developer. Having all this extra time, and an interest in the community, I volunteered for service on the board. It was the best decision I’ve made up here. There is so much to learn, and we do every day. It seems as though we are reinventing the wheel, as this has to be happening in thousands of developed communities across the land. We find new resources every day, and have diverese opinions regarding exactly how far an HOA should go to “maintain order.” My philosophy is to live and let live, just as long as the lawn are trimmed and nobody trys to paint their house bright red. Others on the board are far more “by the book.” There are rather obvious special interests that some of the members are sensitive to, and others that we just ignore. Responsibility and enforcement are key issues that we continue to struggle with. Although the Community “covenants, conditions, and restrictions” or CC&Rs, spell out some guidelines, but the board has to interpret how literally we wish to enforce them.It’s harder to be objective when its your best friend and next door neighbor who has his panel truck parked in his driveway. But, if its OK for one, then its OK for all. There are issues with which we all agree, but are just too petty to inforce. Then there are others that simply get taken out of our hands. We agreed that the kids in our development could have those movable basketball hoops. I hate them, but the kids gotta do something, right. One of the members just would not leave it alone, and kept on digging. You know what, he was right! The County has forbidden it so it is now out of our hands. Who would have known. Now we have a set of rules that has been written down all along. That would have been nice to have tucked into the “welcome to the Board” kit we never got. It is an evolution, but one I am proud to be part of. It does remind one to keep an open mind, and an active participation. I recently found myself in a development very near my house that did not put forth the effort to maintain these standards. Let’s just say that I feel the effort we are putting towards this is well worth it. We got one rock, and we all gotta live on it. Done blow it! Mountain View voters will decide this fall whether Google and other businesses should be slapped with an employee “head tax” to help alleviate the traffic and housing problems that plague Silicon Valley. The City Council voted unanimously late Tuesday to place a measure on the November ballot asking residents to authorize taxing businesses between $9 and $149 per employee, depending on their size. If the measure passes, the tax could generate upwards of $6 million a year for the city, with $3.3 million coming from Google alone. But the city’s Chamber of Commerce, which opposed the decision, says it now hopes to persuade a majority of council members to lower the proposed maximum tax rates before settling on the ballot’s language. The bulk of money raised through the head tax would pay for transit projects, including bicycle and pedestrian enhancements, and 10 percent would go toward providing affordable housing and homeless services. Jesse Cupp, a Mountain View resident and chair of the city’s Visual Arts Committee, introduced himself to the council as a Google shareholder who favors a “top-heavy” progressive tax. The council chose to forge ahead with its controversial proposal just weeks after Seattle walked back a similar plan amid fierce opposition from local business titans such as Amazon and Starbucks. Mountain View Mayor Lenny Siegel noted that unlike Seattle’s proposal, which was primarily meant to ease homelessness, this one would benefit not only his city’s residents but also Google’s employees, who face the same transportation and housing challenges. On Tuesday night, he again reiterated those issues well into a nearly three-hour discussion that culminated with the council’s unanimous vote. While Google has stayed quiet on the issue, the Silicon Valley Leadership Group and Mountain View Chamber of Commerce have not. Representatives of both groups spoke against the tax Tuesday. The Chamber’s Bruce Humphrey pushed for an alternate tax model his organization recently put forward that asks businesses with more than 1,000 workers to pay a flat $100 per employee rate. Some council members, including Vice Mayor Lisa Matichak and Councilman John McAlister, praised the plan’s simplicity, while others, such as Councilwoman Pat Showalter, criticized it for burdening small businesses. Humphrey noted that a benefit of the Chamber’s model is that it doesn’t stick one company with 60 percent of the tax. The model the council ultimately approved would charge the city’s roughly 3,700 businesses a progressive flat rate based on their size and a progressive per employee rate. Businesses with up to 50 employees would be charged a base rate of up to $75 per year and those with more would be charged a base rate plus a per-employee fee that climbs with the work force’s size, up to a maximum of $150 each at Google, which employs a little more than 23,000. On Wednesday, Chamber CEO Tony Siress said the business group would push to get a majority of council members to publicly commit to a base rate of $50 or less — to protect the smallest companies. “This is just a new cost on top of high wages, high rents and all the costs of doing business in the Bay Area,” Siress said. But Siegel said he doubts the Chamber will garner much support for a lower base rate, which the council had earlier proposed should be $100. “We lowered it to $75 already, which I saw as a compromise,” Siegel said Wednesday. During the Tuesday meeting, Councilman Chris Clark recommended that the council fine-tune certain elements of the plan, such as provisions for out-of-town and seasonal businesses, and suggested that the city continue engaging with the Chamber to come up with a mutually satisfactory iteration of the approved plan. Mountain View’s current business tax has been in place since 1954 and is based on businesses’ square footage, which Siegel has characterized as “anachronistic as well as low.” Councilman Ken Rosenberg said he initially felt uncomfortable approving a tax increase until he realized just how outdated the city’s current rates are. The head tax model already exists in San Jose, Sunnyvale and Redwood City. Cupertino city officials were considering a similar tax until last week, when they suddenly decided to wait and spend more time crafting a viable plan while engaging with the business community. The city plans to pursue the tax again next year. In a survey of more than 900 likely Mountain View voters, 62 percent supported the head tax. Those who didn’t indicated that businesses should pay their fair share for fixing the problems they helped create. The tax, to be phased in over two years starting in 2020, requires the approval of a simple majority of voters. Staff writer Ethan Baron contributed to this story. A: No. The Florida Homeowners’ Association Act does not permit architectural review committees to use e-mail to vote on the approval or rejection of members’ applications. Section 720.303(2)(a) of the statute addresses board meetings, and contains the new provision that members of the board may use e-mail to communicate, but may not use e-mail to cast votes on association matters. In my opinion, this was already the law before the statute was changed to specifically say this. The same subsection of the statute states that contains the requirements for board procedures also applies to meetings of committees making a final decision regarding spending association funds and the meetings of committees that approve or disapprove architectural decisions. Architectural committees are also generally required to comply with the requirements applicable to the board for purposes of meeting notice posting and minute keeping. A: Section 718.111(3) of the Florida Condominium Act provides that the powers of condominium associations include the ability to contract for the management of the condominium property. Section 718.3025 of the Statute lists certain provisions that must be included in management contracts, or the agreements may be unenforceable. Most association bylaws confer all of the powers of the association upon the board, except where the statute or condominium documents require a vote of the unit owners. The statute does not require an owner vote to hire a management company and very few condominium documents do (though I do see it from time to time). Therefore, your board likely has the authority, unless the condominium documents provide otherwise. However, this decision must be made at an open meeting of the board and the intent to enter into the agreement must be listed as an agenda item on the posted notice. Unit owners are entitled to speak at all open board meetings, so you do have a “say” in the matter, but not a vote. A: Probably. First, you must confirm that the board of directors is given the authority in the condominium documents to adopt the budget in the first instance. This is the case in the vast majority of associations. If the board is empowered to adopt the budget, it is empowered to amend the budget. However, any amendment to the budget must be done by following the procedures required for initial adoption of the budget. This includes, among other things, sending all owners a copy of the proposed revised budget and notice of the board meeting where the proposed revised budget will be considered. The notice must be mailed or delivered to each unit owner at least 14 days in advance and posted conspicuously on the condominium property 14 days in advance. 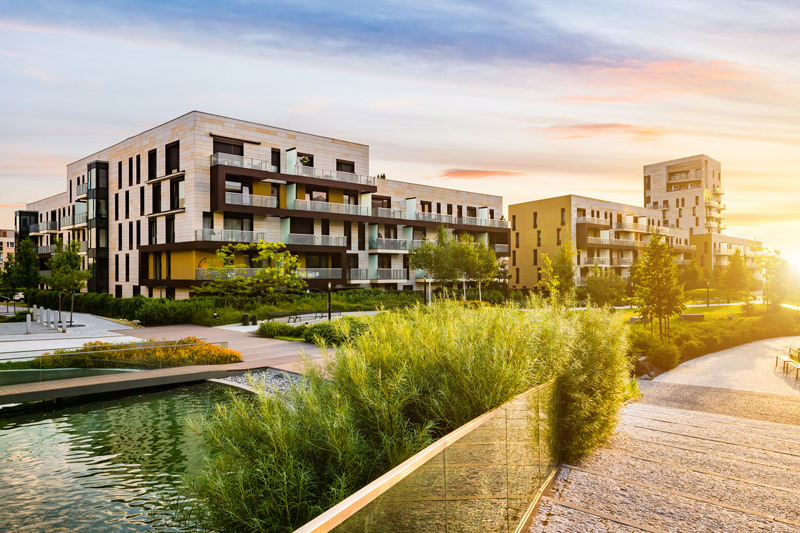 There is a procedure for unit owners to seek to “overrule” a budget adopted by a condominium association which exceeds the previous year’s assessments by 115%. Increases for non-recurring expenses and reserves are excluded from this computation. The process is, however, rather burdensome on the owners and I have rarely seen it employed, and never employed effectively.